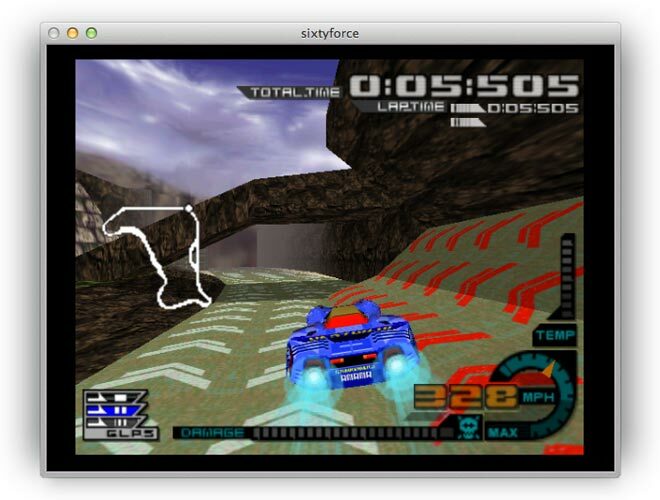 sixtyforce is an emulator that runs Nintendo 64 games. It does this by dynamically translating the code that a Nintendo 64 uses into something your Mac understands. Nearly every part of a Nintendo 64 has been painstakingly recreated entirely out of software to pull off such an amazing feat. Download sixtyforce and try it yourself! One of the better options for Mac users looking to emulate the Nintendo 64, Sixtyforce unfortunately receives irregular updates. See here for the compatibility list.